Workplace wellness programs have great power to create healthy employees, improve employee engagement, and can lead to better employer engagement. Today we will look at the highlights of a new guide on workplace wellness. We are also joined by Hector De La Torre, Executive Director of Transamerica Center for Health Studies® (TCHS) and Dr. Cristina Banks of the Interdisciplinary Center for Healthy Workplaces (ICHW) to get some insight into wellness programs. Recently the ICHW at UC Berkeley and TCHS released a guide called Implementing Wellness Programs Successfully in Small to Medium-Sized Organizations. The guide is based on three separate studies, a comprehensive literature review of wellness programs, a focus group with 20 small- and medium-sized organizations, and an employer survey conducted by Harris Poll in 2017. Daily Advisor: Wellness programs are a broad topic. How would you define a wellness program in general? De La Torre and Banks: Workplace health programs are coordinated health promotion strategies at the worksite/through the employer that include programs, policies, benefits, and environmental supports, designed to encourage the health and safety of all employees. These include health education, social community building, preventive care, health habit development, and disease management. Daily Advisor: In your report, you name a number of things that facilitate wellness programs. What did you find was the most important facilitator? Any ideas as to why? De La Torre and Banks: The most important facilitators are a focus on employees—leadership understands employee needs and preferences, wellness program appeals to personal preferences, etc. Only with this input and understanding can the wellness program maximize employee participation. Daily Advisor: You also mention a number of barriers to wellness programs. What was number one? Why? De La Torre and Banks: Assuming that the wellness program is aligned with employee needs/preferences, the main barriers are organizational: leadership attitudes toward wellness, inaccurate perceptions of program success/failure, lack of clear ownership, lack of active and consistent leadership support, lack of culture of health, lack of corresponding financial resources (for simple or complex programs), bureaucratic or logistical issues, poor communication, etc. In a workplace wellness program, the company’s appropriate support is vital. Daily Advisor: I often read that wellness programs ultimately save companies a lot of money. Is this true, and if it is, can you explain how? De La Torre and Banks: There are two main measures of workplace wellness program success: return on investment (ROI) and value for investment (VOI). ROI refers to saving money through a reduction in medical costs or absenteeism. VOI may include improved population health, productivity, employee morale, talent attraction and retention, enhanced company loyalty, and heightened customer loyalty. Daily Advisor: If every employer were to incorporate only one wellness program, which one would it be? De La Torre and Banks: There is no one-size-fits-all wellness program. In our employer guide, we emphasize the need to assess a company’s characteristics and employee needs/preferences in order to implement only those programs that fit that particular company. Daily Advisor: In your report, you state that 62% of employers say they offer wellness programs, but only 40% of employees say that they work for an employer offering a program. Can you explain what is at work here? De La Torre and Banks: There are two dynamics: one is poor communication by the employer—it must be constant and multichannel to get their employees’ attention; and the other is that the wellness activities/programs that are offered do not match the needs/preferences of the employees, so they do not resonate. Daily Advisor: According to your report, those most likely to complete a wellness program are those who wanted it in the first place. How do you motivate reticent employees to complete or participate in wellness programs? De La Torre and Banks: There is a focus in the employer guide on ‘What’s In It For Me?’ (WIFM) Again, employee needs should be matched by wellness program content, and employees must believe they will receive knowledge, services, behavior change, and/or improved health as a result of participating in the wellness program. What they value could be a financial reward following evidence that a desired behavior was achieved or a nonfinancial reward such as recognition by peers and organization leaders for achieving the desired behavior. More importantly, the WIFM could be simply doing something that is consistent with their values or attitudes—something they value intrinsically. This could be things such as wanting to feel healthy, making themselves feel better, or doing what is right for their bodies. It could even be doing something as a sign of support for others or as part of a friendship. Whatever the reason, WIFM is the determinant of whether a person participates or not. Daily Advisor: The report discusses extrinsic motivation. Can you explain that a little bit? What is it? How does it work? And why is it important? De La Torre and Banks: Extrinsic motivation influences behavior by what a person receives in exchange for a desired behavior. Most often, we think of a financial payment given to a person who achieves a preset goal or target. For example, a person who completes a Health Risk Assessment receives $75. The money rewards or reinforces the behavior. The principle is, behavior that is rewarded is repeated. Another principle is that people will do what is necessary to receive a reward. It only works if the reward is significant enough to be perceived as valuable and that the achievement is verifiable. Daily Advisor: Should every employer offer wellness programs? De La Torre and Banks: Workplace wellness programs are certainly a positive for employees because of the potential improvements in health, productivity, absenteeism, morale, retention, etc., but can only succeed when the company uses employee input to identify wellness activities/programs, has the characteristics that match those activities/programs, and follows through with the effort and leadership to meet employee needs/preferences. Daily Advisor: What is something that most employers don’t know about wellness programs? De La Torre and Banks: That one size does not fit all, and that one-off or once a year workplace wellness activities/programs are doomed to fail. Workplace wellness requires constant effort, communication, and feedback to maintain participation and achieve results. Choice should not be about the expense or popularity—it should be about what fits the employee needs and the characteristics of the organization. 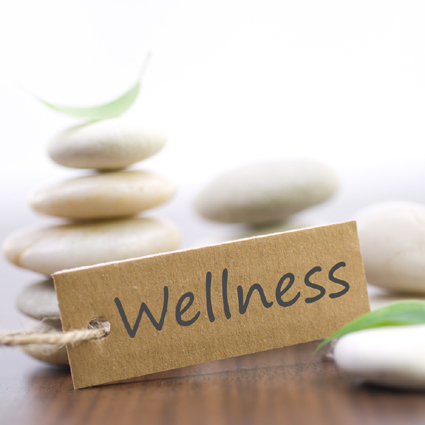 Daily Advisor: What is one thing you wish every employer knew about wellness programs? De La Torre and Banks: Top-down workplace wellness does not work; successful workplace wellness programs engage employees throughout—from design to ongoing monitoring and adjustments. Daily Advisor: What is some advice you would give to an employer considering running a wellness program for the first time? De La Torre and Banks: Start with an employee survey and/or focus groups to establish what employee needs/preferences are, then assess your company fit with those workplace wellness activities/programs before starting any program. See the guide for how to get this very critical information at the start of the process. Daily Advisor: Do you have any additional thoughts? De La Torre and Banks: Our employer guide also includes an extensive list of resources in the back to provide additional sources of information and support for employers and employees. See the step-by-step guide for easy implementation.